Yum! I saved myself for 2 weeks for my sisters homemade lamb cake with homemade cream cheese frosting and coconut. OMG! I had one small piece and well it was pure ecstasy. I am now down 20 pounds, otherwise the old Val would have eaten 3 pieces. 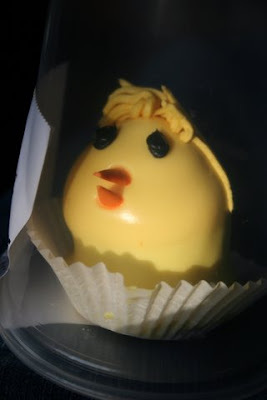 Those chick cakes look very yummy. MMMMMmmmmmm, now there's a yummy looking (and cute) treat. ENJOY!